In Newark, we truly enjoy conversations about heritage. To be a born and raised Newarker is a badge of honor, fully equipped with similes of battle scars and the trenches. Just as there are families all across our city with these linkages and ties, there are several businesses that are multi-generational. There are accountants. There are attorneys. There are schools. There are salons and barber shops. There are industrial manufacturers. There are auto shops. There are bakeries. And then there is the Phillips Family. When I was a kid, Branford Place was the yellow brick road of rewards. Honor Roll...Branford Place. 1st Place...Branford Place. Help an elderly woman across the street...Branford Place. It all came down to a freshly made Italian cheeseburger, and hopefully a double! More on that later. At a time when businesses and people were fleeing our city at alarming rates rather than building on our strong infrastructure, the Phillips Family decided to stay. Daniel J. Phillips I, is one of those Newarkers earlier referenced, spending his time amongst Baxter Terrace and Burnett Street. With a career in sales, he decided to start his own clothing store business in 1973 on Branford Place. The store targeted the mood and the cultures of the times. That store did so well, within two years, Dan (the "First") opened a 2nd location down the block. A 3rd store would follow, in the neighboring East Orange. With self-determination and local support at a high, the businesses thrived. Then came 1985. Having already bought the building on the corner of Branford and Halsey in 1978, the First noticed that his tenant and neighbor was having some issues with his business, that manifested itself through later and later rent payments. As a businessman, able to run his shop efficiently, the First decided to take over the failing food shop and make a few upgrades. Was there a difference between selling a hot dog and hat? The family would soon find out. The family made a complete transition to food services. With Daniel J. Phillips II (the "Second"), his wife Dee and daughter Karen (Morton), the business took off, selling Italian style hot dogs, hamburgers, and a variety of other products. Business did so well, the family opened "On the Grill," which served grilled items, across from Je's on the corner of William and Halsey Streets. With Dan the Second majoring in food and beverage while in college, the family later opened the Big Easy in South Orange and Heritage Cafe in Morristown, close to where Dee's successful salon business was located. In all of the businesses, the family focused on two main ingredients: fresh food daily and personal relationships with the customers. That was the common experience. They would know your order as you entered the door. From the times before I could see over the counter to watch my burger being cooked until I came in with a burgeoning mustache, I probably only called out an order a handful of times. And each time was because I knew I couldn't handle a double burger or I needed a different flavor Mystique drink. All was going well, which for the family in the restaurant business, means life was hectic. Suddenly Dan the First fell ill with a brain aneurysm. The family had to take a step back. Dan the First had to recover. Dee the same. And Dan the Second was off managing music clients, on the road around the country. Then, Dan the First came back. And if the blood pumps, it has entrepreneurship running through his veins. He called Dan the Second, begging him to come off of the road. There was now a Dan the Third to show the path. And he had an idea. The person, to whom they had sold "our" beloved burger joint, was having issues. But the family begged Dan the First to stay away from the stresses of the restaurant biz. This would be a return to their roots. Retail clothing. Dan's Hats and Caps was born in 2001. The family started small, and true to form, the store took off much faster than expected. Selling the "genuine article," the store focuses on fine haberdashery and grew from hats/caps to include shoes and custom shirts as well. They make sure to stick to the "classics," because as Dan the Second notes, "trends kill business." The store has seen a large resurgence recently, due to cultural shifts around the globe and the growth of e-commerce. When I was in the shop recently, Dan the Second had just finished filling a large order for a collector and connoisseur based in Japan. With the embrace of "gentleman attire," the store's customer demographics now range from those in their late 20's on up. The family is even more anxious and extremely motivated by all of the positive steps currently being taken by our community in our city. We are more energized in the realms that have laid dormant for too long, with so much underrated potential, Dan the Second mentioned. This is the spirit that was instilled in the family through the struggle of Dan the First. Yes, we are city of many metaphors, adjectives, biases, oxymorons, and a host of "-isms." But one thing is for sure, as noted by Dan the Second: "If you can survive in Newark, you make it anywhere in the world." 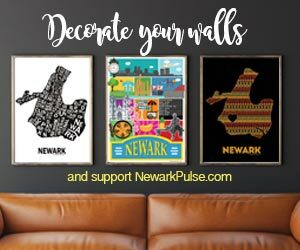 I am one child of Newark that is proud to have grown up with their businesses. Now, if you'll excuse me, the sun is out and I need to get a new lid to look fly for the season.